Ever wonder if you could find an exoplanet, or how do the professionals do it? Well here is where you will find out some of the best tips! Finding exoplanets has become the hot new craze amongst both amateur and professional astronomers, some of which operate NASA’s Kepler Planet Hunter mission, which so far has detected 8 confirmed exoplanets and over 500 possible exoplanets. Now, as an amateur astronomer you may be wondering how exactly do they find these celestial objects, and if there is anything you could do to help your own nightly quest of peering deep into the sky. We will discuss several tips that will both enlighten and inform you on the professional's techniques and methods, which you can use at home on your own other-worldly hunts. First in your quest to explore the cosmos is the decision of choosing a telescope. I prefer refractors, myself having a few Celestron and an Orion scopes hanging around, but this is something you must decide for yourself. I won't go into the details here, but there are many good articles on Bright Hub to help guide you. B) meticulously studying the slight perturbation of the star as caused by the exoplanets gravitational pull on it. 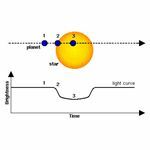 The most useful method of detecting an exoplanet’s existence is indeed measuring the dimming of a star's light, called the transit method. 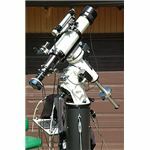 Amateur astronomers typically use this method, as it can be implemented from a backyard telescope with an attached CCD. Keep in mind that a personal telescope capable of this can tend to get quite expensive, let alone the cost of other needed equipment. We will refer to a hypothetical exoplanet orbiting the star Rigel in the constellation Orion as Planet A (mind you there is no evidence to suggest such a planet exists). Planet A is gas giant around the size of Jupiter. As it passes in front of Rigel, it will block between .01% and 1% of the star’s light, making Rigel appear slightly dimmer. As Planet A completes its orbit around Rigel the light curve returns to normal. It is also important to note that only large planets can be detected by this method from the ground. Conducting searches with the Photometric transit method is slightly more problematic than other methods due to the fact that the star being studied needs to be ‘edge-on’, meaning the planet's orbital orientation corresponds to our observing angle. Unfortunately, it is believed that less 1% of stars have these kinds of orbits in relation to the Earth. Great care and extensive study must be done to confirm the existence of an exo-planet, usually requiring nightly watches for extended periods of time. This is due to the fact that star spots, a brown dwarf or even another star may cause the star’s apparent ‘blip’ of light. Using the Photometric Transit Method amateur astronomers will three distinct paths to finding any possible exoplanets. This article also presents a means for astronomers to study and/or detect whether an exoplanet has an atmosphere and it’s composition. Also, one can participate with the online program SYSTEMIC to review data already collected in the search of exoplanets. The Techniques of Photometric Transit Method, cont. With the equipment available at some of the major observatories it is possible to study an exo-planet’s atmosphere! When the planet transits a star, Rigel in this case, the starlight passes through its upper atmosphere. Now if you are able to study the high-resolution spectrum of the planet with extreme care you will be able to detect various elements within the planet's atmosphere. 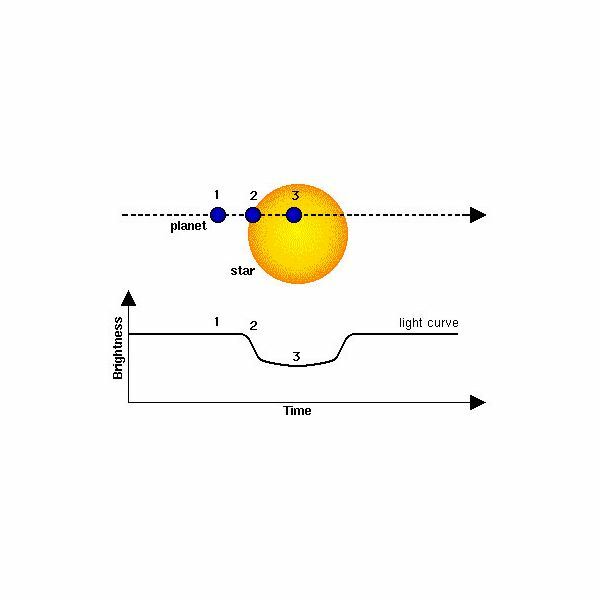 Another method for detecting an exo-planets atmosphere is by measuring the polarization of the star’s light as it bounces off the atmosphere of the planet. Finally there is a third method of detecting an exo-planet via the transit method, which involves the exo-planet’s secondary eclipse that occurs when the planet itself is blocked out by its star. This will allow an astronomer to directly study the exo-planet’s radiation. If the star’s light luminosity is measured during the secondary eclipse and subtracted from its luminosity prior or subsequent to the eclipse, only the planet's signal will remain. Using this transit technique it is actually possible to detect an exo-planet’s temperature and whether there is cloud formation or not. There is a project especially designed to allow amateur astronomers to help search for exoplanets called Systemic. What the project allows you to do is, through their website, download data previously gathered by professional astronomers at the University of California at Santa Cruz and sort through it yourself. The program runs in Java so as to be easily accessible to various operating systems, and allows you (volunteers) to use a set of tools Systemic provides to detect any evidence of an exo-planet. Any hits you find are then uploaded to Systemic for review, and if deemed to be a possible fit it is then posted as one of the solutions for that particular star system. It's a pretty neat idea! 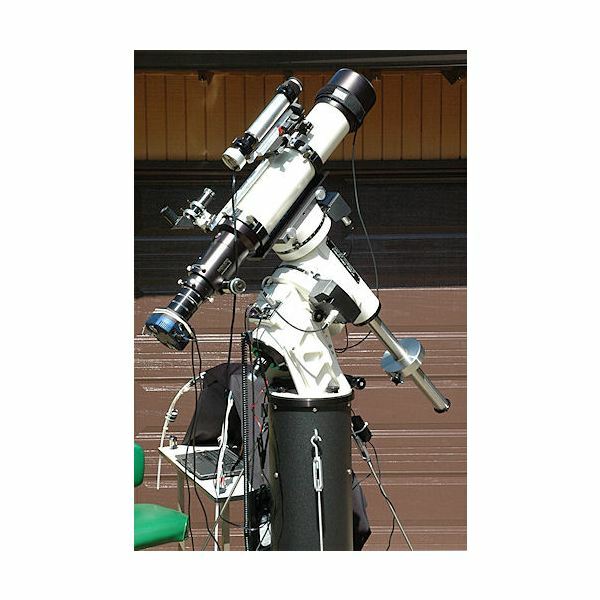 In this article amateur astronomers will learn what tools they need to begin looking for exoplanets from their own backyard. Information about what computer software, telescope and CCD are best suited for exoplanet hunting. Several guided tours are presented as well. You may think as an amateur exo-planet hunter you have very little chance of finding one, but that is far from the truth. Amateur astronomers play an important role in the search for these elusive planets, and amateurs have even found some. On July 7th of 2005, Ron Bissinger detected a fragmented transit of the planet HD 149026b. After two more occasions of studying fragmented transits of HD 149026b Ron was able to build a combined light curve of all three nights, becoming the third nonprofessional astronomer to find a planet outside our Solar System. If you want to skip the process of attempting to find an exo-planet on your own there are means of studying already gathered data in hopes of finding one. As mentioned above, the project Systemic offers the chance to volunteers and the website for Transitsearch.org offers nonprofessionals the chance to analyze sets of suspected exo-planets waiting to be found! As a nonprofessional astronomer you will need at least a 12-inch telescope, though larger is always better. A tracking device and software is required, and I suggest a good GPS system. Detecting an exo-planet will be impossible without a CCD (charge-coupled device used in capturing images, i.e., a camera), though they can be expensive, for the best results you are better off purchasing one with the highest number of megapixels. Software that will be able to generate the star’s light curve in the form of graphs or bars is also needed. There are numerous brands of software, such as Photometric Pro, but I suggest doing a thorough search for yourself. You will also need a target star to begin your search, if you’re adventurous you can study any star chart and pick at random. I personally have an interest in Alpha Centauri, since it’s our closest neighbor, has no known planets and is the location of Pandora in Avatar! For those of you who are more conservative, you can find good suspect star systems at Transitsearch.org. A guidebook is also highly recommended, and you can find many online including the ESA’s own A European Roadmap for Exoplanets, but again I suggest you do your own research. There many organizations that publish their own reports on exo-planets for download such as the Institute of Physics report on the hunt for exo-planets. Besides a clear open space and a relatively dark sky, the most important things to have in your hunt for a planet outside our own system is practice, patience, dedication and wanderlust. If that isn’t for you or you grow weary of the hunt don’t be discouraged, there are companies that operate planet-hunting adventures, which allow clients to search for and find exoplanets that have already been catalogued. It might not be not as thrilling as locating a never before seen exoplanet, but it’s still just as amazing! Some of these companies include the Phoenix Stargazing Tours, Museum, Evening Sky Tours in Sedona, Arizona and Astro Tours Hawaii. As always keep your eyes to the sky, and hopefully you’ll discover an unknown extra-solar planet!